A documentary film that juxtaposes the dreams & aspirations of young Muslim girls with their realities of a marginalized existence in the old city of Hyderabad, India. Winner of the C Saratchandra Film Fellowship Award at the 9th VIBGYOR International Short and Documentary Film Festival, Thrissur, Kerala, 2014. 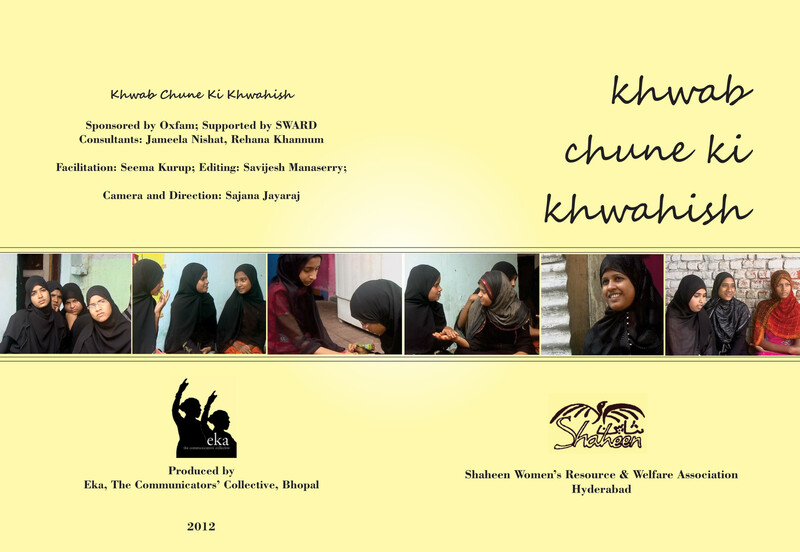 Khwab Chuune Ki Khwahish (A Desire to Touch Dreams) juxtaposes the dreams & aspirations of young Muslim girls with their realities of a marginalized existence in the old city of Hyderabad, India. The film talks about the commercial & sexual exploitation of young muslim girls, through the practice of child marriages to old/rich sheikhs from Arab countries. It won the C Saratchandra Film Fellowship under `National' (Indian) category at the 9th VIBGYOR International Short and Documentary Film Festival, Thrissur, Kerala, 2014.